New York is the city that never sleeps and one that is filled with diversity and culture. 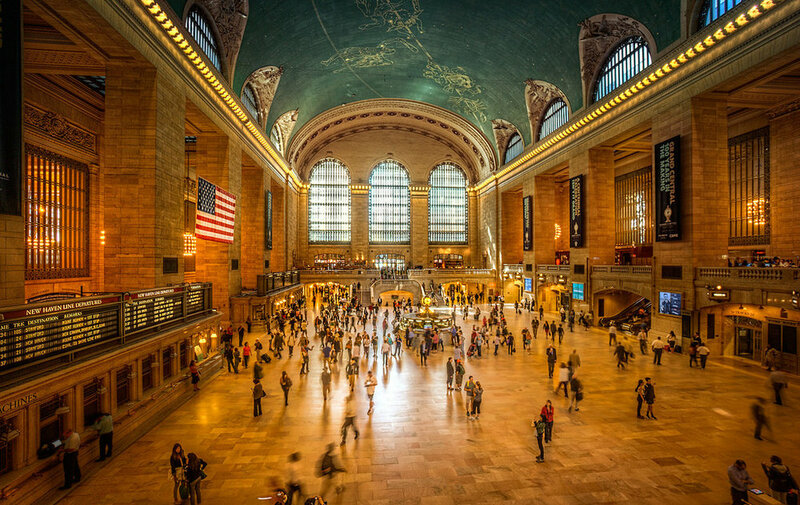 Whether it’s finding a secret spot that you go to unwind or your favorite place to watch your favorite film, we have begun to list some of the treasures that the Big Apple boasts. Take a look below and be sure to check back as we will continue to update the list. If you think we are missing something in the meantime, feel free to drop us a line here! 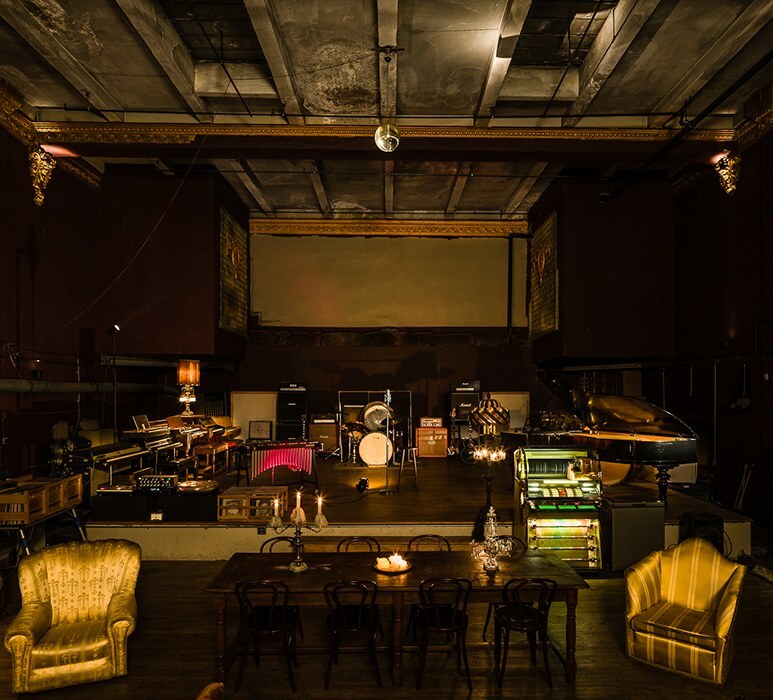 Built in the late 1800′s The Rumor Mills recording space and theater is one of the oldest Vaudeville theaters in New York City history. It’s illustrious stage attracted many of the worlds greatest performers including Charlie Chaplin and Groucho Marx and was the absolute place to be at the turn of the century. Today it is one of the last grand recording spaces left in the united states at 10,000 sq feet with 50 foot ceilings. It has several recording rooms all custom built around our extremely rare collection of vintage recording equipment, microphones and instruments, all of which which make up one of the largest and rarest collections in the world. “The Theater” is by appointment only and not open to the public. Founded and designed by Alexander Olch, Metrograph projects archive quality 35mm and state of the art digital video, and features the Commissary restaurant, a balcony lounge, a bookstore, and candy shop. Crosby Street Hotel has a luxuriously appointed state-of-the-art cinema. On Sunday evenings the hotel operates a “Film Club” which is open to hotel guests and members of the public. It involves DINNER or COCKTAILS in The Crosby Bar followed by the movie of the week starting at 8pm. Established in 1993, it earned a reputation in the 1990s as a "hotbed for New York's jazz talent" with a "well-deserved reputation as one of the best places in the city to see rising talent in the New York jazz scene". 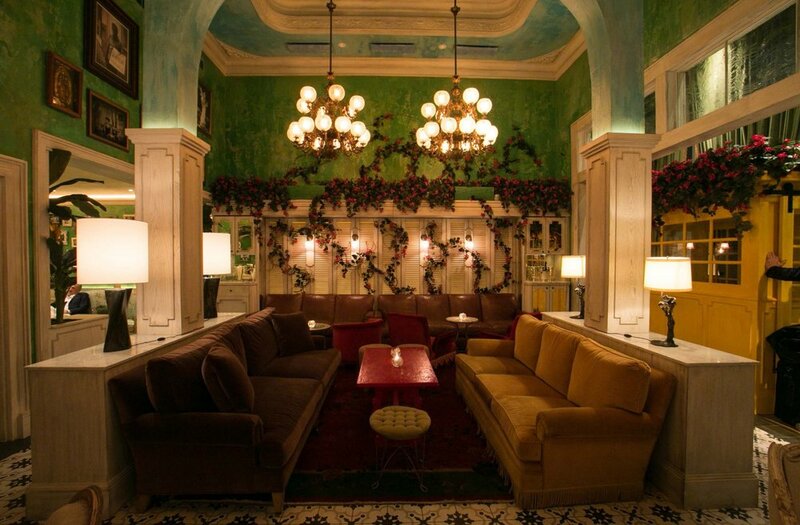 Socialista is a representation of how the privileged pre-revolution Habaneros lived, a Caribbean playground, filled with the romance, excitement, music and flavors of the Cuban socialite culture. Inspired by the eclectic architecture of old Havana, the diverse interior combines colonial European influences with 20th century modernism. The design features French antiques and plantation style rattan furniture, covered in rich velvets and brocades, resembling a stately home that has stood still in Cuban History. A tribute to the Caribbean island's rich cocktail history, the menu will offer a mix of quintessential Cuban drinks and Socialista signatures. El Sabroso, along with a few other Midtown spots, resides deep inside a commercial building. 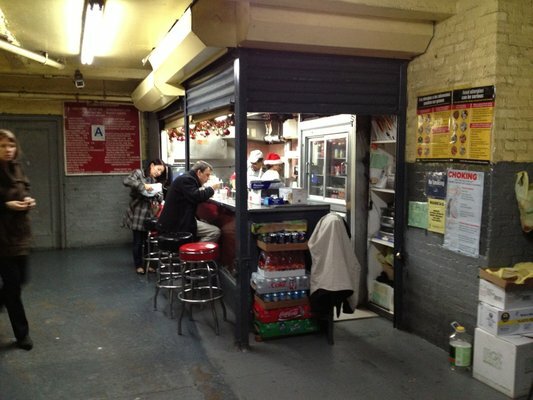 The entrance to El Sabroso can be easily mistaken for the building's freight entrance, because it is the building's freight entrance. Regardless, El Sabroso is serving up some killer Latin American food. Give the roast chicken a try. Basement-set American eatery that gets most of the produce for its seasonal fare from a roof garden. Housed in a restored 1848 brownstone, this posh short-term or long-term stay hotel includes complimentary coffee and tea, a private garden courtyard with brick walls and tables and chairs, and an on-call concierge. Several fine and casual dining options are found within a block of the townhouse. Pig Beach was originally a side project for some A-list New York chefs (including a Del Posto alum, the owner of Ed’s Lobster Bar, and Shane McBride) with serious barbecue hobbies. Frequented by barbecue aficionados, bargoers, and Instagrammers alike, the space is usually at capacity on any given night. From the barbecue stand cooks quickly turn out meats, while an adjacent full bar serves up beachy cocktails, frozen drinks, and beer and wine on tap. City-owned and privately leased, the Garden is open to the public daily, weather permitting. Neighborhood ESG volunteers operate the Garden year-round and program more than 200 free, public educational, wellness and arts-related events annually for children, seniors and all who live and work in the community. The rooftop gardens are primarily enjoyed by the building’s employees. For a price, the space can be rented for weddings and private events, and according to my friend, the gardens are an occasional setting for Saturday Night Live skits. At this point, it seems that the gardens are primarily eye candy for those who live and work in the surrounding buildings. Only a lucky few get to experience the roof gardens up close. A quick ferry ride from downtown Manhattan, this peaceful oasis is nestled near the hills of historic Governors Island. You’ll be surrounded by sprawling green space with unparalleled views of the Statue of Liberty across the New York Harbor. It’s a retreat unlike any other in the world. Housed inside the former home of Henry Clay Frick, it’s as much an architectural experience as it is an art museum. With sixteen galleries displaying pieces by Goya, Van Dyck, Chardin, and more, you have to be sure to not miss anything. 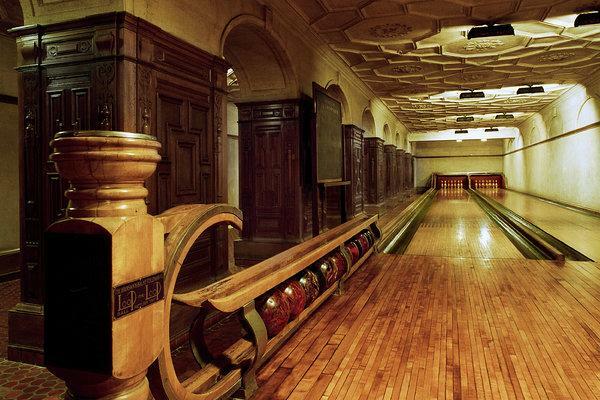 However, art isn’t all this museum has to offer—the cellar of this mansion hides a private bowling alley that Frick added in 1914. While the two-lane bowling alley was lost for some time (converted into an archive, actually), today it is restored to its original design. Unfortunately, getting to see this secret place in NYC is next to impossible unless you are a member of the museum (i.e. : you have made a generous donation) and even then you have to ask nicely. This secret place in NYC is better heard, not seen. In front of the famous Oyster Bar & Restaurant in the dining concourse of Grand Central terminal is an archway. If two people stand at opposite ends of the arch, they can talk into the wall and have their partner hear what they’re saying on the other side.